I hope this link works for you. I have had it not work a few times recently. A site dedicated to the history of US coins. 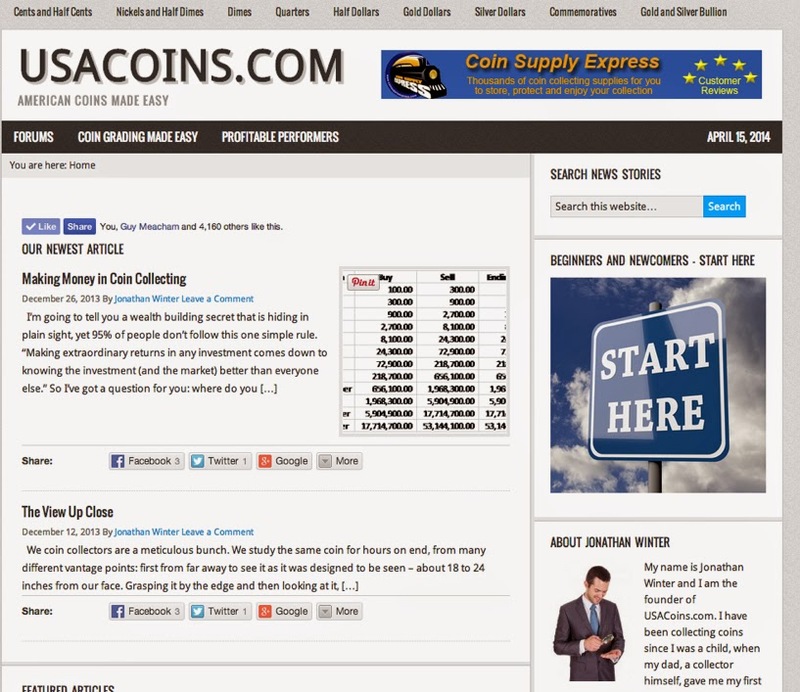 USACoins.com features detailed information on American coins, their designers and even the US Mint itself. Here's a snapshot of the home page in case they do happen to be unreachable right now. Some bad news first: other links at the site may not work or may throw errors. HOWEVER: I strongly suggest patience, forgiveness and trying again. Jonathan Winters (the site owner) obviously cares a lot about coin collecting. His articles are well written, well researched and most important, they are interesting. His passion shows through, so you should bookmark it for that reason alone. He does a better job than I do, so if you are reading my drivel, you should be reading USACoins.com also. Give it a try. I don't think you will be sorry. Oh, yeah: If you need extra incentive, he has some contests and giveaways too.